Increase the drilling depth of your auger with a Digga auger extension. 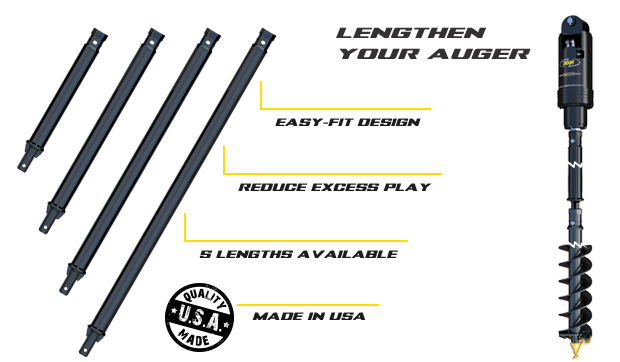 Available for drive units with 3in hex shafts, the XO30 outer extension comes in 2ft, 3ft, 4ft, 6ft, and 8ft lengths. Digga auger extensions provide you with an easy fit design solution with no adaptors required, helping you connect and disconnect your augers faster. With a welded hub and shaft, our auger extensions reduce excess play in the connections, ensuring you drill a straighter hole. Various length options available including 4ft / 6ft / 8ft / 10ft extensions.